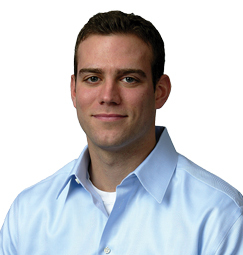 Theo Epstein served as the General Manager of the Boston Red Sox from 2002 to 2011. Epstein became the youngest individual ever appointed to that position at the age of 28 years, 11 months on November 25, 2002. Two years later, at age 30, he became the youngest General Manager ever of a World Championship team. Throughout Epstein’s career with the Sox, the team saw unprecedented success, advancing to post-season play in three consecutive seasons for the first time ever. In Epstein’s first winter on the job, the club signed David Ortiz, Bill Mueller, Kevin Millar, and Mike Timlin to help bring the Red Sox within five outs of the World Series in 2003. The next winter, the club acquired Curt Schilling and Keith Foulke before Epstein reshaped the roster on July 31, 2004 with the trade of Nomar Garciaparra and the acquisition of Dave Roberts. After the deadline deals, the Red Sox went 42-18 for the rest of the regular season and 11-3 in the post-season to win its first World Series title since 1918. Boston returned to the playoffs in 2005 before injuries derailed the 2006 club that held first place as last as August 2. A steadfast commitment to scouting and player development has been the key component in ensuring continued success on the major league level. In the 2003 draft, Epstein’s first, the Red Sox selected right-hander Jonathan Papelbon in the fourth round. The club selected Dustin Pedroia in the second round of the 2004 draft, and the 2005 and 2006 drafts were names second-best and best, respectively, in all of Major League Baseball by Baseball America. He was appointed Boston’s Assistant General Manager in March 2002 after five seasons with the San Diego Padres baseball operations department, most recently as Director of Baseball Operations. He was also a member of the Padres Communications department in 1995-1996 and began his baseball career as a summer intern for the Baltimore Orioles on 1992-94. A graduate of Yale University and the University of San Diego Law School, Epstein was honored as the Major League Executive of the Year by the Boston Chapter of the Baseball Writers Association of America in 2003 and 2004. In the spring of 2005, Theo and his brother Paul launched The Foundation To Be Named Later (FTBNL). A branch of the Red Sox Foundation, the FTBNL’s mission is raising funds and awareness for non-profit agencies in the Greater Boston area serving disadvantaged youth.